Re-Storation Skin Treatment provides hydroxy acids, antioxidants, vitamins and enzymes to improve skin texture and diminish the appearance of fine lines and wrinkles. Eye Return is specifically formulated to address real problems. It reduces the appearance of fine lines, wrinkles and puffiness, while deeply hydrating and soothing the most sensitive skin. 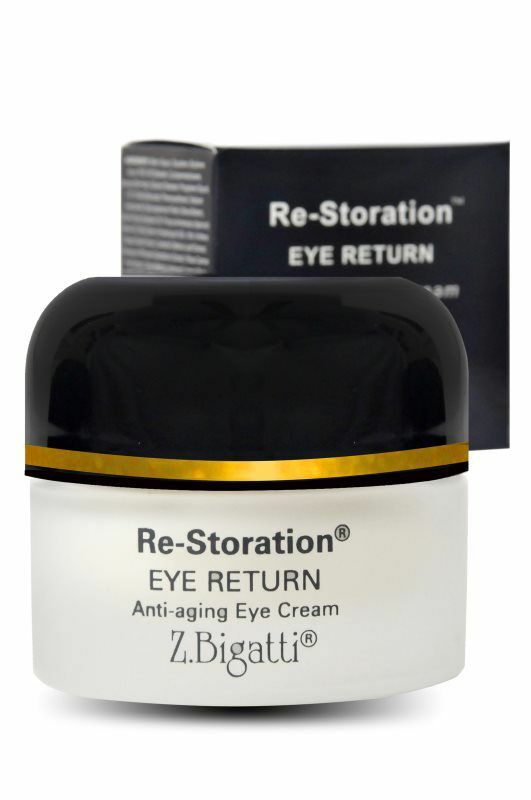 Re-Storation Eye Return provides effective anti-aging treatment to the eye area. This rich cream contains antioxidants and vitamins that specifically help to combat the damage from free radicals, such as sun damage and environmental toxins. 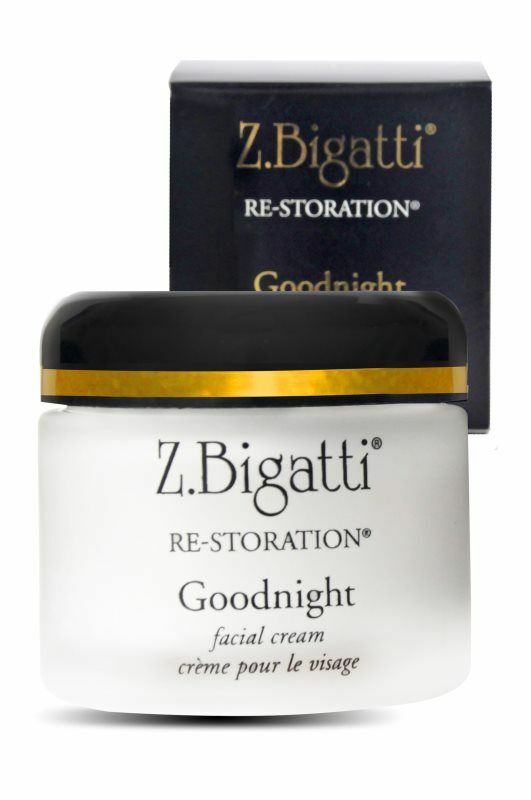 Benefits:• Reduces appearance of fine lines and wrinkles• Minimizes puffiness• Firms skin• Smoothes skin, providing a perfect canvas for makeup application• Great for sensitive skinIndulge the windows to your soul with this luxurious eye cream.Please note: Eye Return may be used with sunscreen. Color of product may change with time due to natural ingredients. Impact gently exfoliates, clarifies, reduces apparent pore size and improves overall texture and tone. Natural enzymes leave skin soft, smooth, and touchably silky. 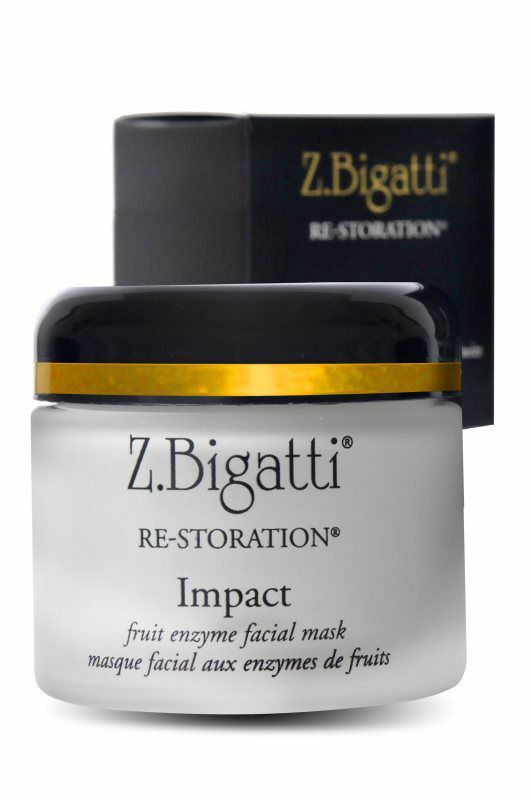 Impact-Fruit Enzyme Mask is an ultra-effective approach to mask therapy, in just three minutes. Impact gently exfoliates, clarifies, reduces apparent pore size and improves overall texture and tone. Natural enzymes leave skin soft, smooth, and touchably silky. Impact goes further to diminish the appearance of fine lines and wrinkles, for a radiant, clear complexion. Papain and Bromelain, natural-but-potent mega-fruit enzymes, and Salicylic Acid (beta hydroxy), desquamate the dull outer layer of skin without irritation. A generous milieu of Soy, Apricot Kernel, Kelp, Comfrey, Horse Chestnut, Butcher’s Broom and Arnica smoothes and softens, while an anointing of Eucalyptus, Rosemary, Fennel, Geranium, Thyme, Cypress, Grapefruit Peel and Juniper Berry rejuvenate the skin. Impact Mask work rapidly to correct and repair. Antioxidants in Grape Seed and Green Tea combat environmental stress and exposure, known to contribute to skin aging. 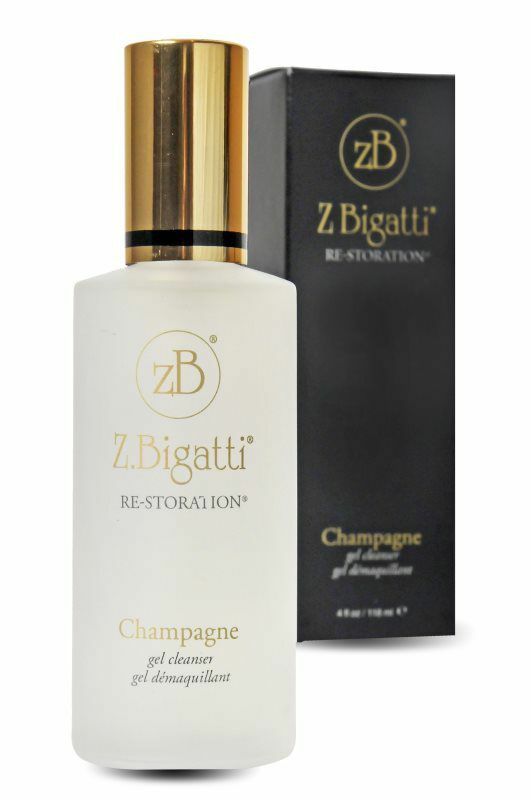 Re-Storation Deep Repair Facial Serum repairs and reverses visible signs of aging, stress and sun damage. A concentrated treatment of soy, botanical and marine extracts, vitamins and antioxidants improve skin clarity and diminish the appearance of fine lines and wrinkles. 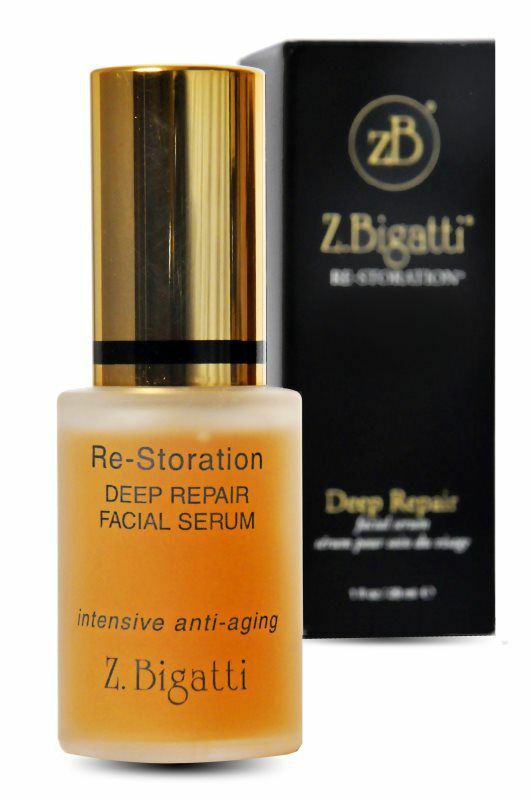 Deep Repair Serum may be used as a ’spot treatment’ or over the entire face and neck for serious skin renewal. 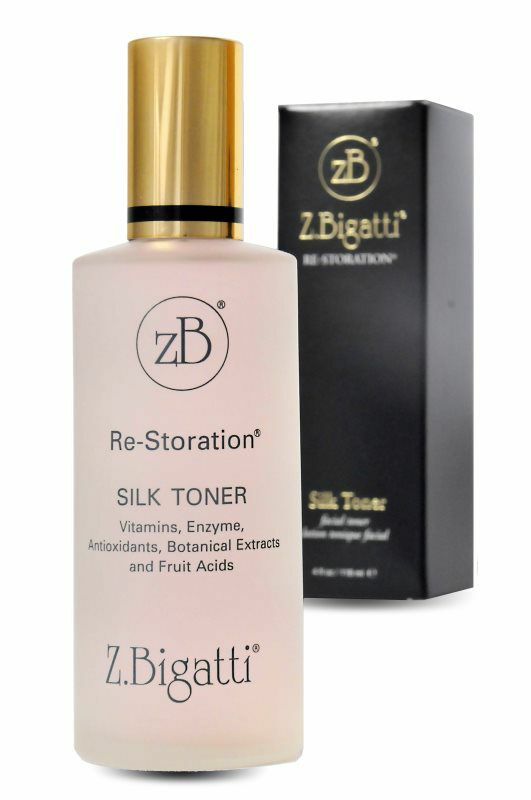 Deep Repair’s active ingredients work to enhance all Z. Bigatti products, as well as working independently as the industry’s most potent lift serum. Please note: Deep Repair Serum may be used with sunscreen. Color of product may change with time due to natural ingredients. 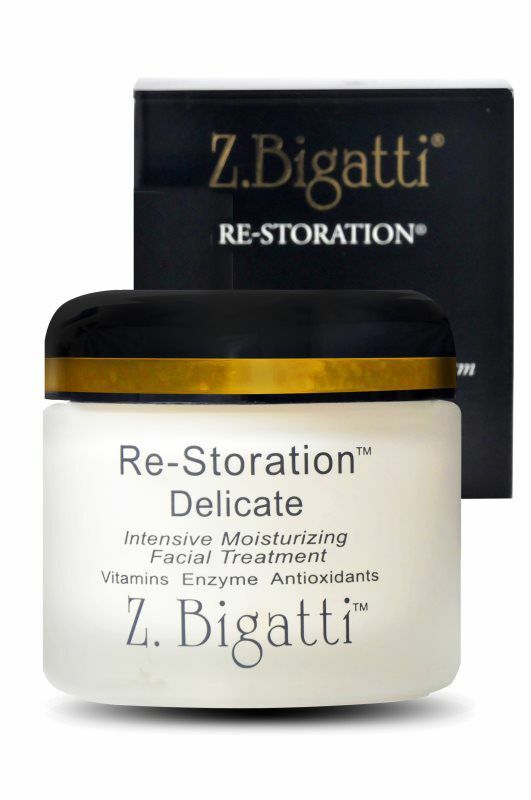 Re-Storation Delicate’s non-hydroxy acid formulation diminishes visible fine lines and wrinkles, enhances skin firmness and elasticity, and reduces apparent pore size. This is Elegant. Rich. Multi-faceted. Powerfully effective. A complete scenario for sensitive skin with real needs. 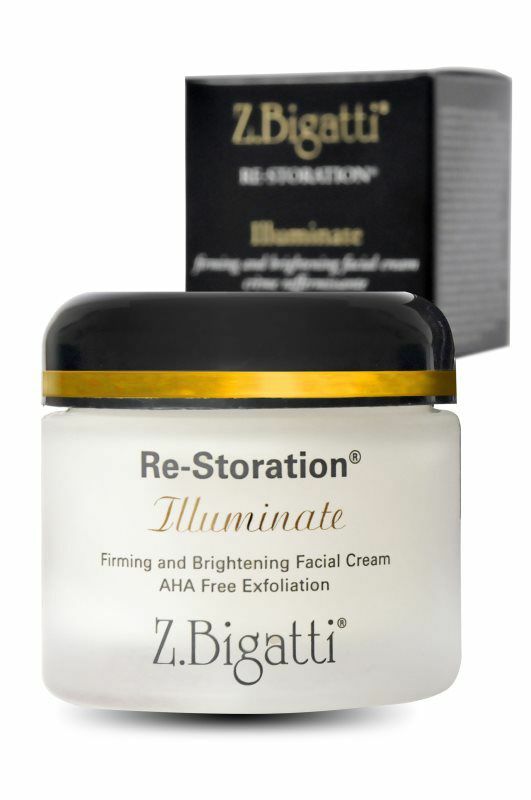 Re-Storation Delicate’s non-hydroxy acid formulation diminishes visible fine lines and wrinkles, enhances skin firmness and elasticity, and reduces apparent pore size. 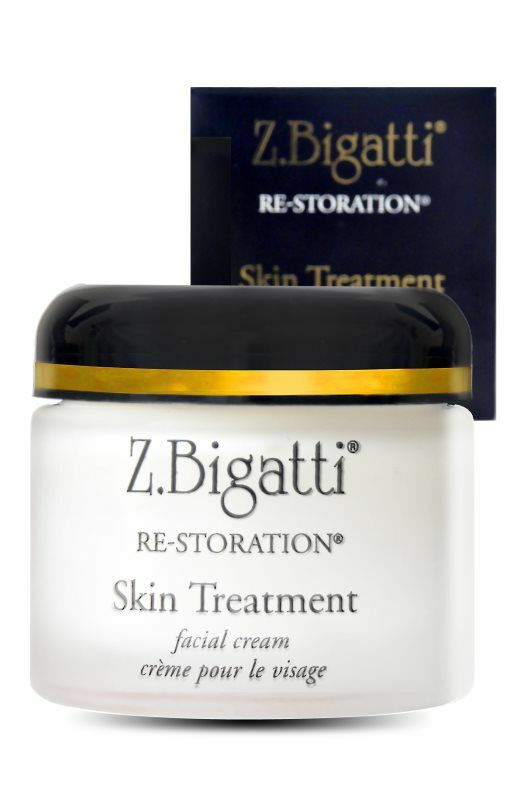 This gentle, optimal anti-aging treatment leaves skin even-toned, soft and smooth. Delicate is free from alpha and beta hydroxys, yet it delivers maximum benefits. This ’all-in-one’ skin treatment repairs, nourishes, protects and soothes even the most sensitive skin. This potent, yet delicate facial therapy boasts an effective blend of Linoleic Acid and Hyaluronic Acid in combination with antioxidants Grape Seed, Green Tea, Superoxide Dismutase and a milieu of skin replenishing vitamins. Delicate incorporates an infusion of multiple vitamins, enzyme, and concentrated antioxidants to impart noticeable anti-aging benefits and extreme, luxurious moisture. This product contains Papain, a papaya enzyme used for very gentle exfoliation. Glucosamine and Algae work with the Papain for maximum cell renewal and cell turnover. Loaded with powerful antioxidants (Aminopropyl Ascorbyl Phosphate) to reduce the appearance of fine lines and wrinkles, while Licorice Root helps to brighten your complexion.